Afrivista Tours Stellenbosch South Africa .Wine Tours is our speciality! 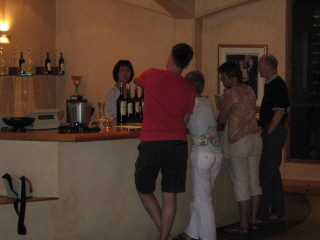 / General Tour Photo Gallery / Tour Action Photo's / More Tasting at Kanonkop winery ,with Anita giving advice. Afrivista Tours Stellenbosch South Africa .Wine Tours is our speciality! Wine Tours in the Winelands of Stellenbosch and Franschhoek. More Tasting at Kanonkop winery ,with Anita giving advice.